Glazed Over Beauty: e.l.f. Holiday Stocking Stuffers! If you're like me, stockings are the last thing I think about. Right around this time each year, when I'm feeling pretty good about how much Christmas shopping I've managed to get done, I catch myself and think "OH CRAP, I still need to fill a stocking, too!" If you're anything like me, I hope this post will help you fill your beauty-loving family or friends' stockings without breaking the bank, too! If you shop at Target or Walgreens, chances are you've seen e.l.f. cosmetics and maybe even picked some up, having been swayed by the super affordable prices. 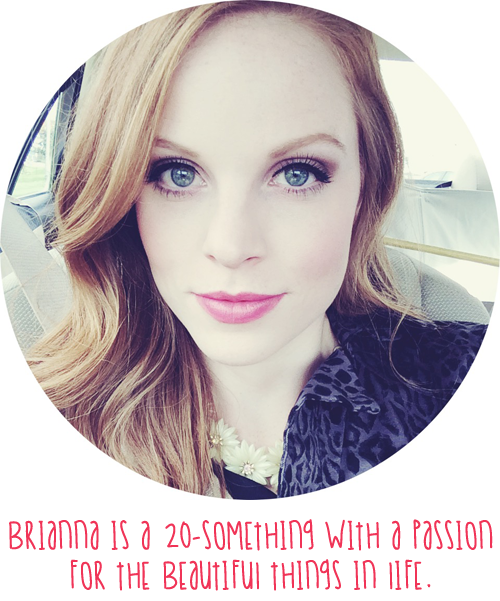 They have a TON of holiday sets this year and I have a few to tell you about. The e.l.f. Beautiful Brows Eyebrow Kit ($10) has all the tools you need for perfectly shaped, on fleek, eyebrows. It has four reusable stencils to get the perfect shape, one defining wax, two brow powders, a dual ended brow pencil and brush (in black? 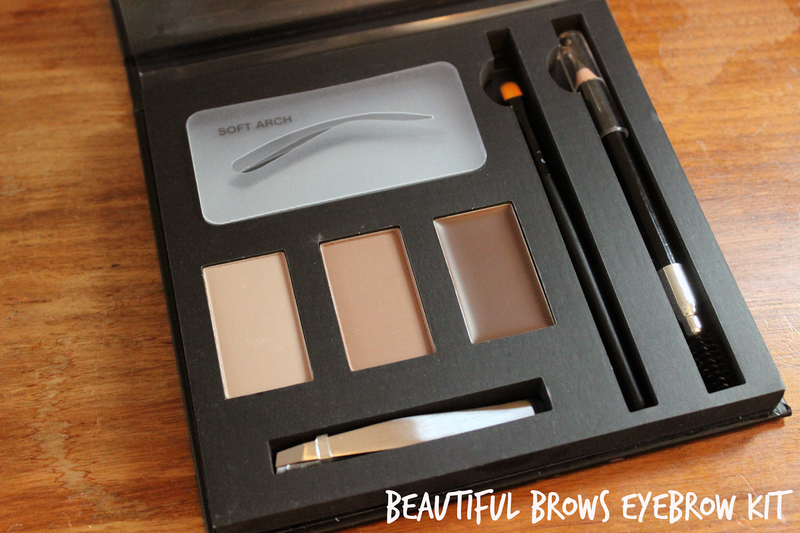 ), a brow brush, and tweezers. The powders are very light. If you (or your secret santa) have blond hair, this will be perfect for you, but if you have dark hair, I don't think this will fly. You can always use these powders as eyeshadow crease shades if nothing else! The e.l.f. 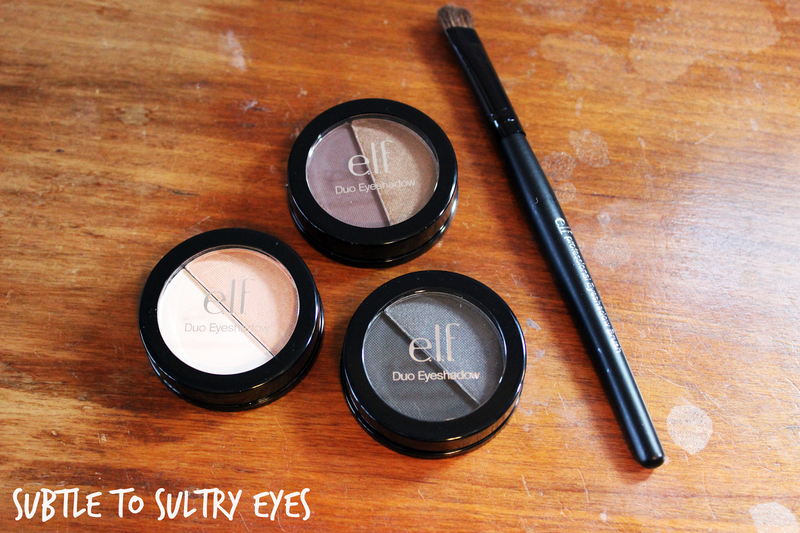 Subtle to Sulty Eyes set ($5) comes with three eyeshadow duos and a nice eyeshadow brush. 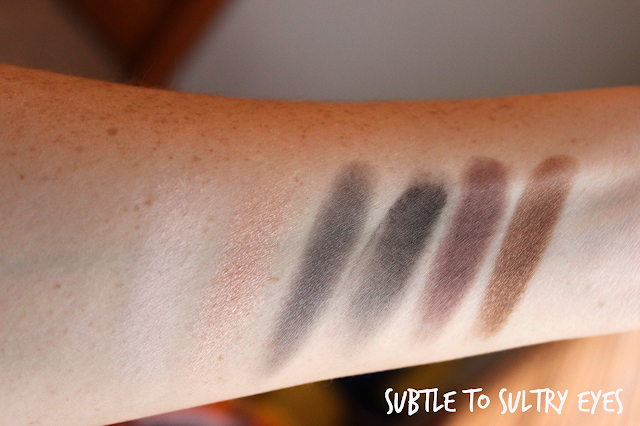 For the price, you get a range of different shadows to play up a natural or dramatic look. The brush is also quite nice for the price. 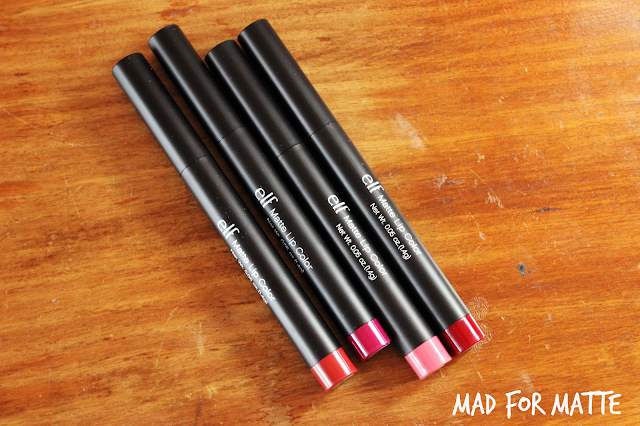 It's not amazing, but you'll be able to apply color to your lids as needed. The only thing not included that would be helpful is a blending brush. The e.l.f. Shimmering Eyes Eyeliner Set ($5) is not for the faint of makeup-hearted. 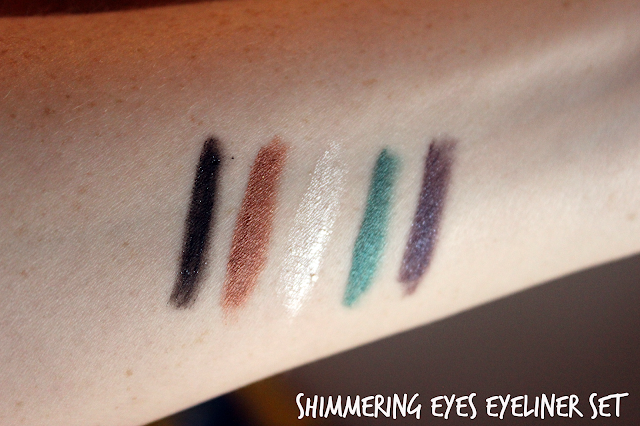 It comes with five eyeliers, some pearlescent (the the white and the emerald) and some glittery (black, bronze and purple). 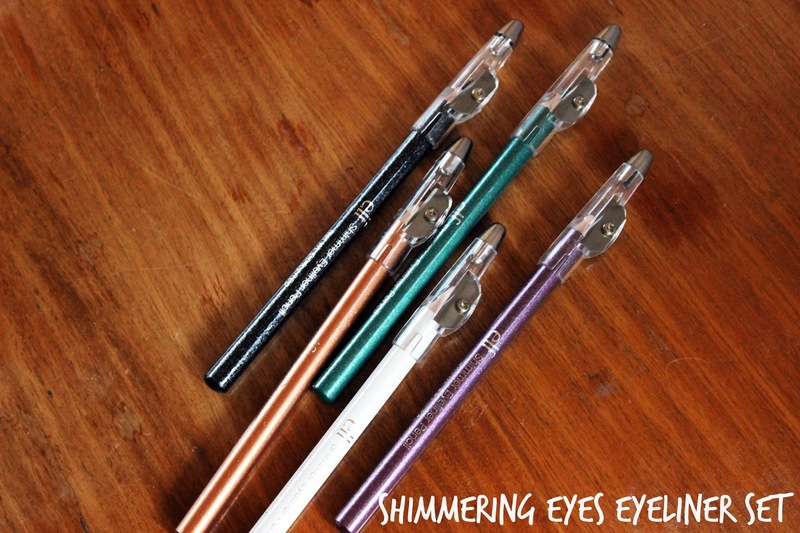 The quality is what you'd expect for $5, but you can certainly make some gorgeous eye looks with these liners. 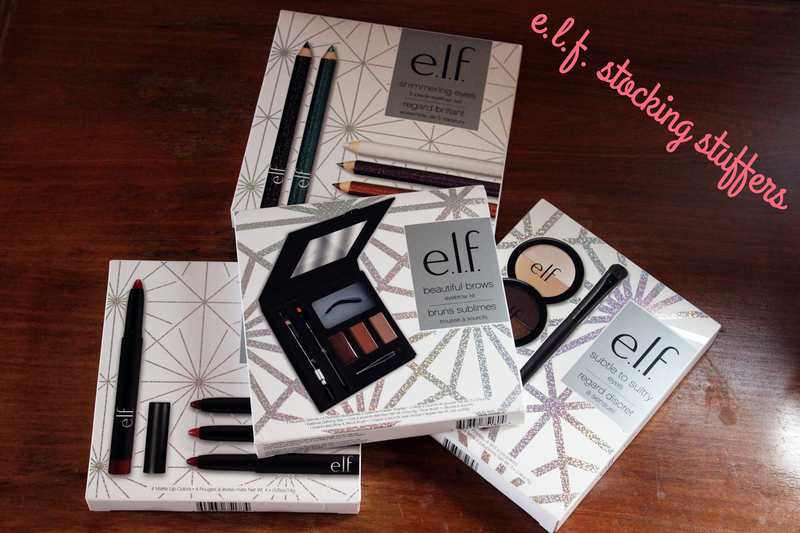 My most favorite stocking stuffer is the e.l.f. Mad for Matte set ($10). 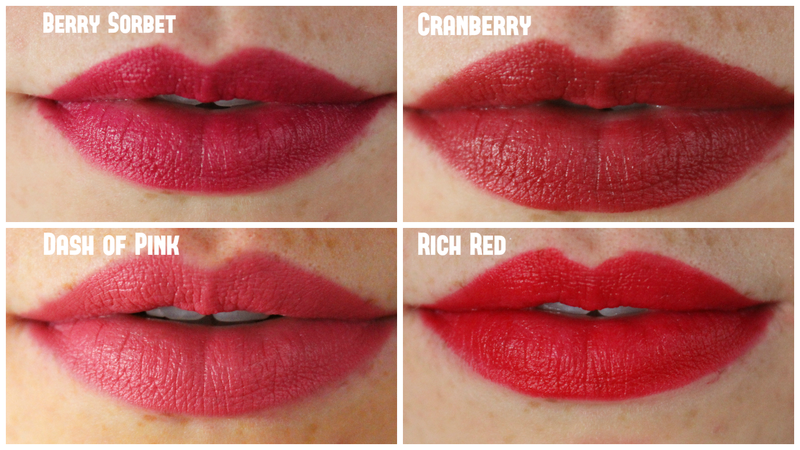 These lippies are awesome. They are more demi-matte than fully matte, and they're really comfortable on the lips. They don't feel dry and crusty like so many matte lippies often do. You are definitely getting your money's worth with this set. Even if you bought all of these sets, you'd only be set back $30! That's an incredible value. Let me know if you get any of these sets this holiday season - I'd love to know what you think! e.l.f. has some good stuff, I agree! Gonna try to remember Dash of Pink, what a pretty shade. I actually saw these at Old Navy and thought they were so perfect for secret santa or something like that! Bath & Body Works Holiday Haul!